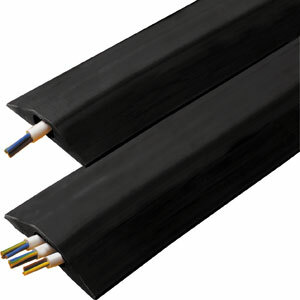 Rubber cable covers are perfect for areas where electrical cables need to cross walkways and entrances. 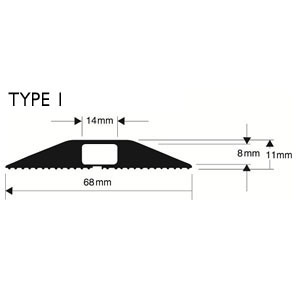 Helps prevent slips and trips, the biggest cause of workplace accidents. 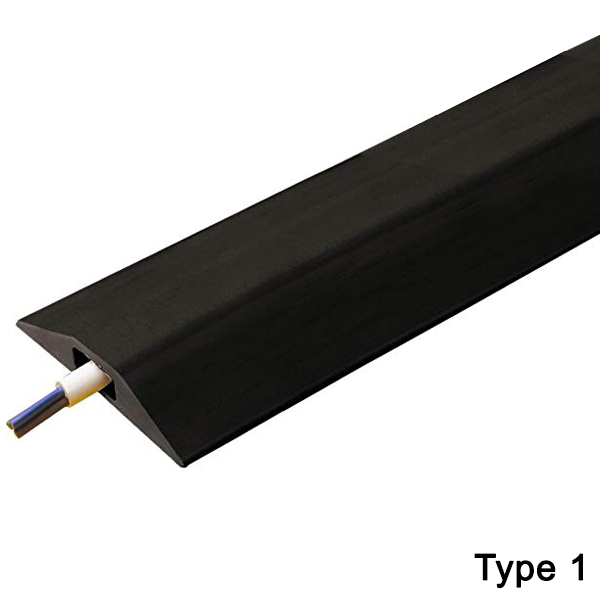 The 'snap-fit' system allows you to easily feed the cables within the protector. 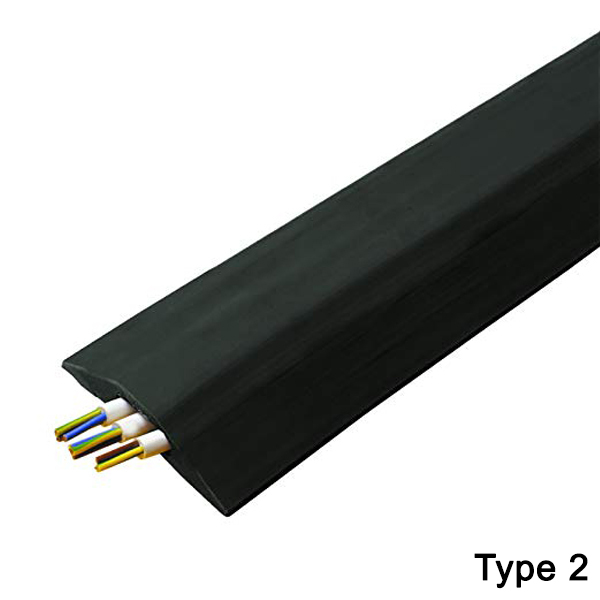 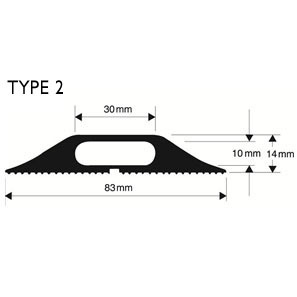 Type 1 is narrower and suitable for 1 or 2 x 10mm cables, Type 2 will accommodate up to 3 x10mm cables or more smaller ones.